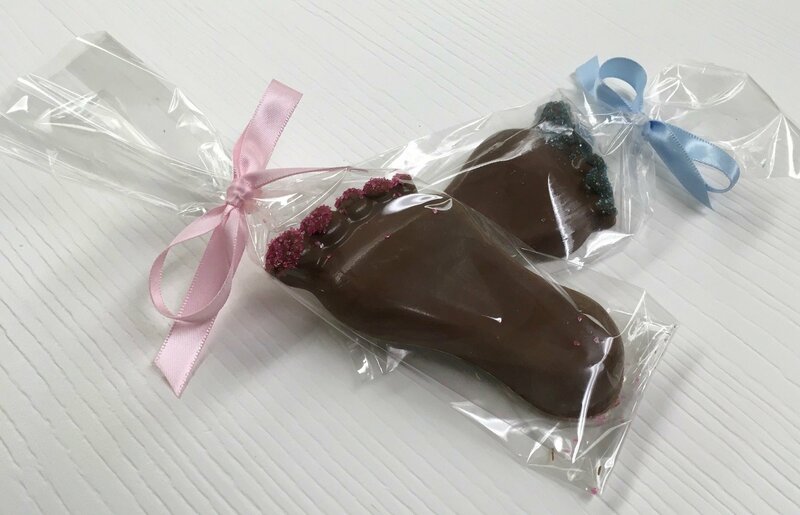 Solid Chocolate Baby Feet. 4" x 2" Peanut and Gluten Free. Bag and Bow not included. 8 to a Lb.